JEE Main is one of the most popular entrance exams for the engineering stream. It is a national level exam. The exam will be conducted by the National Testing Agency(NTA). The January session for the entrance exam has been over. For the April session exam, the admit card has been released by NTA on the official website. The candidates can get the admit card by logging in to the official website of JEE Main 2019. JEE Main 2019 Result Expected soon. Read details here. NTA Released the answer key for April Exams. Check the direct link here. The entrance exam for Paper 1 of the JEE Main April 2019 session has been conducted successfully. The candidates can now give Mock Tests for JEE Main at https://ntatpc.in/. JEE Main April session answer keys for both paper 1 and paper 2 to be released soon by NTA on jeemain.nic.in. Admit card for JEE Main 2019 will be available in the official website of NTA-JEE Main from !7th Dec 2018 onwards which can be downloaded by candidates. Candidates are not allowed to change their examination center, date or shift what has been mentioned in admit card. Candidates have to read the instructions thoroughly and follow them strictly during the examination. Click Here To Download JEE Main April 2019 Admit Card! The JEE Main 2019 Cut Off mark will be declared online soon by the National Testing Agency (NTA). The result of Paper I have been released two weeks before the scheduled date by the authorities on the official website of JEE main. The students, appeared for the Paper I, will be able to check out the cutoff mark by using their login credential (Application Number & Password) on the official website. Candidates will register using their name, DOB, identification ID and other details. Online Application Form filing includes providing personal, academic and contact details and uploading of scanned documents. The application fee can be paid online or offline mode. Take out a print copy of the acknowledgment slip after the completion of fee payment. The application fee of JEE Main is non-refundable and is accepted through online mode of payment or through e-challan. JEE Main will be conducted by National Testing Agency (NTA) twice a year. That is in January and April. Age Limit has been removed and candidates who have passed their class 12th in 2017, 2018 or appearing in 2019 can apply irrespective of their age. Application fees of candidates for different categories for JEE Main 2019 have been reduced. Nearly 1.5 lakh common service centers have been notified where students can fill the application form, pay fees, upload documents and download admit card at a very nominal fee. Paper-I will be completed in two shifts and Paper II will be of one shift. JEE Main 2019 will be conducted in computer-based (Online) mode whereas the drawing section of Paper 2 will be conducted with pen and paper-based. Almost 3400 Practice centers have been set up by NTA across the country for the students. Mock tests and Sample Papers are available online which can be downloaded and practiced at home or at practice centers. Candidates can appear in any one of the 2 exams or both the exams. The higher score of the two exams will be considered for admissions. The exam will have multiple sessions and the total slots are of eight for both the January and April exams. The number of test cities is increased to 264 and that of abroad have been reduced to 9 (Dhaka is no longer an option). The candidates which are applying for JEE Main 2019 Paper II must have scored 50% individually in Physics, Chemistry and Mathematics and also 50% aggregate marks in 10+2th standard or equivalent examination. The counseling session for JEE Main occurs soon after the announcement of the result. The counseling session is a vital portion of the selection procedure. A candidate must attain the Joint Seat Allocation Authority (JoSAA). The final score for the first term exam of JEE Main (Paper 1) was declared on the 19th of January. The result for the 2nd term (Paper 2) was declared on 31st January of 2019. To check the result, the candidates have to go through the official website of JEE Main. For BArch admission, the candidates will be needing their Application Number of JEE Main 2019 and Date of Birth/Password. JEE Main answer key for 2019 has been released on the official website by the National Testing Agency. The first one (For Paper 1) was released on January 15 whereas the second one (Paper 2) was released on January 31. The students can get the answer key from the official website by using their login credential. Date of Birth: Must fall on or after 1st October 1994. Date of Birth for SC/ST & PwD candidates: Fall on or after 1st October 1989. Candidates can appear a maximum three times for the JEE Mains exam. Attempted limits are the same for all the categories. Candidates can appear for a maximum of two consecutive years for JEE advanced. Q: What is the minimum mark required to get admission at NITs? A: The minimum score required to secure a position at the NITs is 94 or 95 percent. A: The entrance exam of JEE Main is conducted by online mode only. Q: Is there any changes in the syllabus for JEE Main 2019? A: No. There is no change in the syllabus of JEE Main 2019. AEEE is an entrance test conducted by Amrita Vishwa Vidyapeetham University. This entrance allows the students to apply for the 4-year long B. Tech course in the university. The entrance exam is conducted in two methods. One is the Computer-based test (CBT) mode and the other one is Pen & Paper (P&P) mode. However, it's up to the candidates to choose one of them. In this academic session (2019-20), the university will also applications through JEE Main entrance exam. Those who will apply through JEE Main also has to finish the AEEE 2019 application procedure. Although these students will not have to appear in the AEEE exam. Amity JEE (Amity Joint Entrance Examination) is an entrance exam conducted by Amity University for admissions to BTech programmes offered by the University. This OMR based exam is usually held across various cities in the country. And the questions are based on CBSE XII syllabus including Physics, Chemistry, Mathematics (PCM) and English or Physics, Chemistry, Biology (PCB) and English. The AP EAMCET is elaborated as Andhra Pradesh Engineering, Agriculture & Medical Common Entrance Test". This examination known as AP EAMCET is conducted on the behalf of APSCHE. The examination is held once in a year and is done on a state level basis. The students who desire to choose a stream of Engineering, Pharmacy or Agriculture can adopt for this examination. After the students pass this examination, they can take admissions in government and private institutes. So, we have shared you all the information regarding AP EAMCET 2019 exam dates, eligibility, syllabus and application form. AP PGECET 2019 is a state level examination organized by the Andhra University, Vishakhapatnam on the behalf of APSCHE. Andhra Pradesh Post Graduate Engineering Common Entrance Test is a gateway for admission in PG engineering and pharmacy courses. Students looking for admission in ME, M.Tech and M.Pharma courses in Andhra Pradesh state may appear for this exam.AP PGECET 2019 Exam Dates:EventsDatesApplication release 1st week of March 2019Application submission last date (without late fee) 1st week of April 2019Application submission last date (with Rs.5000/- late fee) 4th week of April 2019Application submission last date (with Rs.10,000/- late fee) Last week of April 2019Hall ticket release Last week of April 2019Result declaration 2nd week of June 2019Counselling starts June/July 2019AP PGECET 2019 Eligibility:Candidate shall have attempted the relevant subject at GATE/GPAT/APPGECET based on the subjects of study at Degree level. For eligibility criteria, please refer to the guidelines prescribed by universities for admission into courses.As per AICTE, a candidate with atleast 50% marks for OC/BC and 45% for SC/ST in B.E./B.Tech. degree are eligible to seek admission into M.E./M.Tech courses.As per Pharmacy Council of India, the eligibility criterion for admission into M.Pharmacy/ Pharm.D (Post Baccalaureate) courses is 55% for OC/BC and 50% for SC/ST candidates in B.Pharm.AP PGECET 2019 Exam Pattern:The exam will be organized through online (computer based) mode.The language of the question paper will be English.There will be multiple choice type questions asked in the examination. The exam duration will be two hours. One mark will be provided for each correct response. No negative marking for wrong answers.AP PGECET 2019 Syllabus:Students should prepare for the exam as per the officially prescribed syllabus. The syllabus will comprise of the topics from the subjects of qualifying exam of the relevant field. BEEE 2019 is an engineering entrance examination conducted by Bharath Institute of Higher Education and Research (BIHER). BEEE is short for Bharath Engineering Entrance Examination. BEEE 2019 is expected to be conducted in the month of April 2019. This examination is held for all engineering courses and for both postgraduate (M.Tech) and undergraduate (B.Tech) level. Birla Institute of Technology and Science Admission Test (BITSAT 2019) is university level online entrance exam held for providing admission to first-year degree UG and PG programmes such as B.Tech, B.Pharma, and M.Sc courses offered at BITS Pilani campuses in Pilani, Goa and Hyderabad. This exam is the gateway to the admission into diverse Engineering courses such as Computer Science, Civil, Chemical, Electrical and Electronics, Instrumentation, Electronics and Communication, Manufacturing Engineering, Mechanical and Biotechnology.BITSAT 2019 Highlights:The exam name is Birla Institute of Technology and Science Admission Test.The conducting body is BITS Pilani and it’s a university level exam.The Official Website www.bitsadmission.comThe mode of exam is online.BITSAT Helpline number is 01596-24220The exam duration is 3 hours. BITSAT is conducted in two slots each day- one from 9 am – 12 noon and the 2nd from 2 pm- 5 pm.The BITSAT exam has 4 sections-Physics, Chemistry, Mathematics or Biology, and English & Logical Reasoning.The questions are of objective type and there are a total of 150 questions. (+3) mark for each correct answer, (-1) mark for each wrong answer. B.S. Abdur Rahman University conducts this Online Engineering Entrance Exam every year on a state level basis. It permits admission to the students on the basis of their JEE-Main Exam score. Students who want to take admission in the respective streams can fill the application form of the University through the online mode. The application form for BSAUEEE 2019 will be available from the month of January 2019. CENTAC 2019 is a Centralized Admission Committee which is formed to fill the professional degree seats in the colleges that comes under the UT of Puducherry. The admission procedure will be managed by the Centralized Admission Committee (CENTAC), Government of Puducherry. There are 17 participating institutes under CENTAC 2018. Centralized Admission Committee will be the conducting authority for the entire admission process. There will be no entrance exam conducted for offering admission in UG courses from 2015 onwards. Through the admission process, candidates can get admission in the engineering and various medical courses. Cochin University of Science & Technology conducts the CUSAT Common Admission Test (CAT). 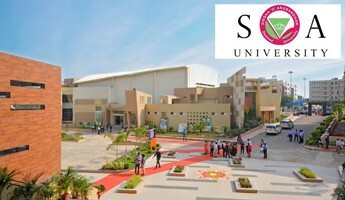 It offers admission in B.Tech and various UG & PG courses into its three affiliated campuses. 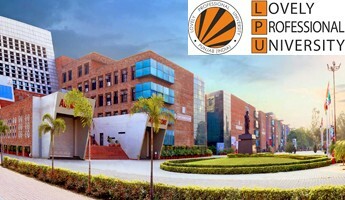 It is conducted once every year and the different courses include Engineering, Sciences, Humanities, Law, Management, Commerce and Computer applications. Galgotias Engineering Entrance Examination or GEEE 2019 is conducted by Galgotias University, Greater Noida for admission to its B.Tech programmes. GEEE is generally held between May and June every year.Latest: GEEE 2019 Online Application form to be released on 1st December 2018.GEEE Highlights: The exam name is Galgotias Engineering Entrance Examination.The conducting body is Galgotias University.The total number of questions is 90.The section wise questions are of- Physics (30), Chemistry (30) & Math (30).The questions are of objective type.The medium of the exam is English.The mode of exam is offline (Pen & Paper).The duration of the exam is 1 &1/2 hrs. HPCET is a state level entrance exam conducted by Himachal Pradesh Technical University(HPTU) every year to give admissions to BTech./BPharmacy/BPharmacy (Ayurveda), M.Tech, M.Pharmacy, MCA, and MBA in various institutes of Himachal Pradesh.The admission to all courses will be given on the basis of merit or marks obtained in the National Level Entrance Test subject to fulfillment of minimum educational qualification. However, after completion of the selection procedure from the merit of National Level Entrance Test, the admission to all the courses will be givenon the basis of the marks obtained in HPCET 2019. Indraprastha University Common Entrance Test (IPU CET 2019) is a university level entrance exam administrated by the IPU university. It is conducted every year to offer admission in various UG, PG and other courses in the field of engineering, management, law, computer applications, medical, nursing, etc.IPU CET 2019 schedule:EventDates (Tentative)Availability of online application formsThird week of February 2019Last date of submission of application formsFirst week of May 2019Availability of admit cardsFirst week of May 2019IPU CET 2019 examThird or Fourth week of May 2019Result DeclarationFourth week of May 2019IPU CET 2019 Eligibility:B.Tech- 12th class passed with PCM subjects.Candidates must have 55% aggregate in PCM subjects and must have passed in English subject.M.Tech- B.Tech., B.E., Grad. IETE, AMIE, MCA, M.Sc in relevant field.Minimum 60% aggregate.MBA- Three-year bachelor degree or equivalent in any stream.Candidates should have obtained 50% marks in aggregate.MCA- Bachelor degree in any stream with securing 50% aggregate.Must have passed in Mathematics & English subjects at 10+2 level.LLM- LLB or equivalent law degree with minimum 50% marks.BCA- 12th class or equivalent exam passed with at least 50% marks.Must have passed in English and Mathematics/Computer Science subjects.LLB- 10+2 or equivalent exam passed with minimum 50% aggregate.Should have passed in English subject also.IPU CET 2019 Exam Pattern:Mode of Exam: The exam will be conducted through offline (pen and paper-based) mode.Pattern: It will be conducted in OMR pattern.Answering Mode: Candidates must use blue or black ball point pen to mark an answer.No. of Questions: The question paper will contain 150 questions (200 for Biotechnology).Marking Scheme: Four marks will be provided for each correct answer.Negative Marking: One mark will be deducted for wrong answer. Questions with more than one answer will also be considered as wrong answer.IPU CET 2019 Syllabus:The syllabus will be different for various courses offered under the CET.Tech syllabus will comprise of Physics, Chemistry and Mathematics subjects.For M.Tech courses, most of the syllabus will be as per the GATE exam.The syllabus will be of 10+2 or graduation level as per the courses opted by students.Students must prepare for the exam as per the officially prescribed syllabus.IPU CET 2019 Application:The application fee will be Rs. 1000/- for each course.Payment will be made via online mode using debit/credit card and net banking.The application fee will be non-refundable. JEE Advanced 2019 is the national-level entrance exam which will be conducted by 7 Zonal Coordinating (ZC) IITs under the guidance of the Joint Admission Board (JAB) for admissions to Engineering or Architecture programs of the top institutes of India such as IITs, NITs, IIITs, CFTIs etc. Top 2, 24, 000 candidates, including reserved categories of JEE Main exam, will be eligible for applying for the JEE Advanced. Joint Entrance Screening Test (JEST) is an integrated exam for taking admission in Ph.D /integrated Ph.D in Physics, Theoretical Computer Science, Neuroscience and Computational Biology. The Science & Engineering Research Board (SERB) recognizes JEST as a National Eligibility Test (NET) which is conducted on yearly basis to get admission in various institutions. Karnataka Examinations Authority (KEA) will organize the Karnataka Common Entrance Test (KCET 2019). It is a state level entrance test also known as Karnataka CET 2019. KCET exam is conducted to offer admission in the first year of engineering, agriculture, pharmacy & various other courses. Various colleges and universities of Karnataka offer admission on the basis of KCET scores. Before filling the application form, candidates must check the eligibility criteria of KCET 2019. All of the candidates should have qualified 12th standard examination to be eligible for KCET 2019 examination. Read the article to know more details about KCET application form 2019 such as fee payment, last date, form correction, etc. Kerala Engineering Architecture Medical Exam (KEAM) is a Kerala state level qualifying exam, conducted by the Commissioner of Entrance Examination (CEE) every year for the admissions into the UG Engineering programs offered by government and private colleges of the state. KEAM 2019 Application Form will start from the first week of February 2019 and the exam will be held on April 23 & 24, 2019 in offline mode. The examination will be conducted in 352 centers across 14 districts of Kerala, including Delhi, Mumbai, and Dubai. Karunya Institute of Technology and Sciences (Deemed to be University) offers various Undergraduate Engineering programmes. Thus, to take admission in one of the 12 UG Engineering courses candidates have to apply and qualify for the entrance examination – KEE 2019. Karunya Entrance Examination (KEE) is held each year in the online mode only. KLUEEE is an engineering test conducted by Koneru Lakshmaiah Education Foundation. The entrance exam allows the students to apply for the undergraduate engineering courses at KL deemed-to-be University. Presented in the state of Andhra Pradesh, the KL Foundation conducts the exam mostly in the month of April/May 2019. PES Scholastic Aptitude Test (PESSAT) is a national level entrance exam conducted by the PES University to offer admission into various undergraduate & postgraduate courses of the university.PESSAT 2019 schedule:Events	Tentative DatesOnline registration2nd week of October 2018Last date to register2nd week of April 2019Start of slot booking3rd week of April 2019Issue of admit card3rd week of April 2019Last date to register by candidates who want to take Bengaluru as centre2nd week of May 2019PESSAT 2019May 2019Last date to update 12th std/ 2nd PUC marks (only for candidates whose 12th/ 2nd PUC results are announced)2nd week of May 2019Declaration of result3rd week of May 2019PESSAT 2019 CounsellingJune-July 2019PESSAT 2019 Eligibility:The candidate must possess a Bachelor’s Degree with at least 50% marks or equivalent CGPA (Under-graduation should be for a minimum of three years).The candidate present a qualifying score in any one of the below entrance exams: PESSAT/MAT/CAT/CMAT.For VTU MBA aspirants, PGCET scores are mandatory. PESSAT is not applicable for the VTU MBA at PESIT South Campus, PESIMSR & PES Central Campus.The candidate should clear the personal interview rounds conducted at the PES University campus.PESSAT 2019 Exam Pattern:PESSAT is a computer-based test. Candidates have to attempt 120 MCQs in 120 minutes. PESSAT 2019 will have four sections- English Comprehensive / Verbal Ability, Analytical & Logical Reasoning, Quantitative Reasoning, General Awareness. There is no negative marking in PESSAT.PESSAT 2019 Syllabus:English Comprehensive / Verbal Ability- Verbal Reasoning, Fill In the Blanks, Contextual usage, Analogies & Syllogisms, Antonyms, Sentence completion/ correction, Jumbled paragraphs, Idioms, One word substitution, Reading Passages.Analytical & Logical Reasoning- Family tree, Strong Arguments and Weak Arguments, Puzzles, Visual reasoning, Arrangement, Series, Pie Chart, Blood Relations, Critical Reasoning, Calendars, Statement Conclusions.Quantitative Reasoning- Trigonometry, Ratios and Proportion, Number System, Percentages, Work and time, Simple Interest & Compound Interest, Time-Speed-Distance, Geometry, Arithmetic, Profit & Loss.General KnowledgePESSAT 2019 Application fees:Payment of application fee. Pay Rs. 1050 as the application fee of PESSAT 2019. The payment can be done both in online and offline mode. SAAT 2019 (Siksha ‘O’ Anusandhan University Admission Test) is a university-level online entrance examination. 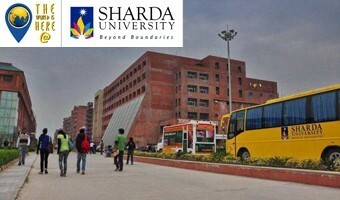 It offers admission in UG & PG programmes. For the admission in medical & dental programmes, the NEET UG & NEET PG scorecard will be considered. For B.Tech programmes admission will be offered through SAAT and JEE Main scores. The Sathyabama All India Entrance Examination (SAEEE) is a computer-based test conducted by Sathyabama Institute of Science and Technology, Chennai, Tamil Nadu. The entrance allows the candidates to apply for admissions to B.E/B. Tech and B.Arch programmes in the stated university. The last date to apply for the entrance exam is 6th April. SRM Joint Engineering Entrance Examination (SRMJEEE) is a Joint Entrance Examination, conducted by SRM University for the admission to B.Tech and M.Tech Engineering degree programs offered in Kattankulathur, Ramapuram, Vadapalani and Ghaziabad campuses.Highlights of SRMJEEE:The exam name is SRM Joint Engineering Entrance Exam.The Conducting Body is Sri Ramaswami Memorial University, Chennai.The mode of application is Online and Offline.The mode of exam is Online. The numbers of seats available are nearly 7000. Tamil Nadu Engineering Admission (TNEA) is conducted every year by the Anna University. Through TNEA, candidates can get admission in the engineering undergraduate courses after class 12th. Tripura JEE (TJEE) is conducted to select the candidates for admissions in professional courses in the field of Engineering, Technology, Agriculture, Veterinary, Fisheries, and others. The aspirants willing to appear in the Tripura JEE 2019 can submit their application from the month of January. The candidates qualifying TJEE 2019 will be offered enrolment in different institutions situated in the Tripura state. This article presents the details of Tripura JEE 2019 such as application form, exam pattern, eligibility, etc. Telangana State Engineering, Agriculture, Medical Common Entrance Test (TS EAMCET) is a state level entrance exam organized by Jawaharlal Nehru Technological University (JNTU), Hyderabad on behalf of TSCHE (Telangana State Council of Higher Education) to offer admission into various UG courses. Post Graduate Engineering Common Entrance Test (TS PGECET) is Telangana State Level Common Entrance Test for Admission into Regular PG Courses in Engineering, Technology, Architecture, Pharmacy (ME / M.Tech./ M.Pharmacy / M.Arch ), Graduate level Pharm-D (Post Baccalaureate) for the academic year 2018-19 conducted by Osmania University on behalf of Telangana State Council of Higher Education (TSCHE), a Statutory body of the Government of Telangana., Hyderabad. TS PGECET 2019 schedules:Events	DatesIssue of Notification2nd week of March 2019Date of commencement of online applications	3rd week of March 2019Last Date for submission of online applications (without late fee)	1st week of May 2019Last Date for form submission (with late fee of Rs. 500)	2nd week of May 2019Last Date for form submission (with late fee of Rs. 2000)	3rd week of May 2019Last Date for form submission (with late fee of Rs. 5000)	4th week of May 2019Last Date for form submission (with late fee of Rs. 10000)	Last week of May 2019Downloading of Hall Tickets	4th week of May 2019Examination Dates	Last week of May 2019Response Sheet Release	Last week of May 2019Preliminary Answer Key & Question Papers Release	1st week of June 2019Result/Rank Card Declaration	Result/Rank Card Declaration	2nd week of June 2019Counselling Starts	1st week of August 2019TS PGECET 2019 Eligibility:Only Indian candidates can apply.Candidates must belong to Telangana/Andhra Pradesh state.Candidate should satisfy local/ non-local status requirements as laid down in the regulations of admission.Candidates must secure minimum 50% marks (40% marks in case of reserved category) in the qualifying examination.TS PGECET 2019 Exam Pattern: The examination will be organized through online mode.The question paper will be asked only in the English language.The examination will be held in two sessions, i.e. morning & evening.The duration of exam will be two hours. In the examination, total 120 multiple choice objective type questions will be asked. One mark will be allotted to the candidates for each correct question.No negative marks will be awarded for the incorrect answer.TS PGECET 2019 Syllabus:To get the detailed syllabus for different specialization for TS PGECET 2010 exam click here. TS ICET 2019 (Telangana State Integrated Common Entrance Test) will be managed by the Kakatiya University, Warangal on behalf of TSCHE, Hyderabad. It is organized every year for offering the admission in MBA and MCA professional courses. It is a state level entrance exam through which candidates can get admission in the state universities or colleges of Telangana state. VEE is referred to as Vels Entrance Exam it is a university level examination. This exam is organized for the students those wish to get admission in the Vels University campuses. Through this exam, candidates can get into Engineering, Management, Pharmacy, Law, and many other courses. To get admission candidates to pass the Vels University Entrance Exam. Vellore Institute of Technology (VIT) organizes the VITMEE exam, an university level entrance, every year to give admissions into the M.Tech and MCA programmes in 7 schools of VIT. The candidates with a qualifying GATE scorecard can also apply for this exam. Vignan's Scholastic Aptitude Test (V-SAT) is a computer based online test conducted on an all India basis for admission into B.Tech./B.Pharmacy in Vignan's Foundation for Science, Technology & Research (Deemed to be University), Guntur, Andhra Pradesh, India. The exam will be held from 4th week of April 2019 through online mode. The duration of the exam is of 180 minutes. The questions are of multiple choice & objective types. Total 120 questions will be asked in the exam. The question paper will comprise of Physics, Chemistry, Mathematics/Biology and English/Aptitude. Each correct answer carries one mark and there is no negative. VSAT 2019 Schedule:Events	Dates (tentative)Application starts 2nd week of November 2018Application filling Last date 2nd week of April 2019Admit Card Issued	1st week of April 2019Date of exam	4th week of April 2019Result Declaration	Last week of April 2019Counseling date	2nd week of May 2019VSAT 2019 Eligibility:Candidates born on or after 1st July, 1998 and a pass in above Intermediate or its equivalent with minimum B2 grade / CGPA of 7.0 in Andhra Pradesh or above 60% aggregate marks in Telangana State are eligible to appear for the admission test.Admission to B.Tech. / B.Pharm programmes will be through Vignan's Scholastic Aptitude Test, V-SAT an on-line test, conducted by Vignan's Deemed to be University on all India basis.Candidates qualified in AP or TS EAMCET / JEE(Mains) / JEE(Advanced) with a minimum of B2 grade / CGPA of 7.0 in Andhra Pradesh or above 60% aggregate marks in Telangana State in the +2 / Intermediate examination.Streams for VSAT 2019:Candidates who attempt Physics, Chemistry, Mathematics and English/Aptitude in the V-SAT 2019 are eligible for all the B.Tech./B.Pharmacy programmes.Candidates who attempt Physics, Chemistry, Biology and English/Aptitude in the V-SAT 2019 are eligible only for B.Tech. Biotechnology, Bioinformatics, Biomedical Engineering, Food Technology & B.Pharmacy Programmes.Note: Candidates appearing for qualifying examination and awaiting results can also apply.VSAT 2019 Exam Pattern:Subjects Marks AllottedMathematics	30Biology	30Physics	30Chemistry	30English/Aptitude	30Total	120VSAT 2019 Syllabus:The VSAT syllabus will be comprised of the subjects Mathematics, Biology, Chemistry, Physics and English or Aptitude. The syllabus will be prescribed from the class 11th & 12th topics & chapters.VSAT 2019 Application Fee:The application fee Rs. 1200 can be paid through online mode. Candidates can submit the fee through offline mode (Demand Draft). The DD will be made in favor of the “Vignan University”payable at Guntur.To know in details and register. Click here!! West Bengal Joint Entrance Examination (WBJEE 2019) is managed by the WBJEE Board. It is a state level entrance exam for the candidates to get admission in Architecture, Pharmacy and Engineering courses. Candidates who qualify WBJEE 2019 will have to apply for counselling and seat allotment after the result is declared. WBJEE is conducted for admissions into B.E/ B.Tech courses offered by some 104 Government as well as Self Financing Engineering & Technological participating institutes.